Video news continues to roll out, much of which is tied to vendor partnerships. With InfoComm taking place this week, the video-related news continues to pile up on my desk. Here's what's new since last week's post. 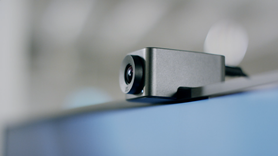 Zoom this week expanded the reach of its one-click access to video meetings, announcing the Zoom One-Tap Connector for Cisco. Just like with the one-click access from Polycom systems announced at the end of May, this capability enables Cisco video room system users to host Zoom video meetings, connecting with just a single tap of a button. This partnership comprises a native integration with Cisco C, SX, DX and MX series video conferencing products, meaning no additional hardware or controller is required. In addition, Zoom made a couple of other announcements at InfoComm. First, Zoom has expanded its default meeting capacity support from 50 to 100 video participants, applicable to Zoom Basic, Pro, and Business users, in addition to Zoom Rooms and Zoom Video Webinar video panelists. This extra capacity is immediately available at no additional cost. Second, Zoom announced a native integration between Zoom Rooms and Mercury, the table-top meeting room system Crestron announced in February. The integration enables one-touch access to Zoom meetings from Mercury. Zoom Rooms meetings tap into Mercury's built-in four-microphone cluster and speaker to provide dynamic noise reduction and meeting control. As the press materials state, Zoom and Crestron view this integration as a first step toward a long-term partnership around integration between respective product suites. The solution will be available to customers "soon." Speaking of Crestron, in other news, the company last week announced an Amazon Alexa integration, a move that expands the company's year-old partnership with Amazon beyond its residential scope. Specifically, the integration lets users initiate a voice call or video meeting, as well as pull up presentation materials, with by voice command. Further, the integration enables meeting participants to use Alexa voice commands to adjust the AV, lighting, and HVAC controls of the meeting room. This means that next time a user finds himself in an over-air conditioned meeting room, he can simply say, "Alexa, tell Crestron it's too cold in this room," and the necessary temperature adjustments are made, the press materials state. "Meetings are a consistent source of frustration -- if you can call a ride or order a pizza with the sound of your voice, why shouldn't meetings work the same way?" said Dan Jackson, director of enterprise technology at Crestron, in a prepared statement. "We've vowed to make the experience seamless -- and voice control is an important component in making that happen. Cloud video conferencing and calling provider StarLeaf announced a partnership with information and communications technology (ICT) solution provider Huawei. The pair will deliver an integrated solution combining StarLeaf UC OpenCloud and Huawei's TE series of video room systems. UC OpenCloud is StarLeaf's brand-neutral communications platform aimed at its industry partners, allowing video endpoint manufacturers the ability to extend their product portfolio with a video conferencing-as-a-service solution. With this integration with Huawei, users gain interoperability between their Huawei systems and other video systems like Skype for Business. Getting down to specifics, UC OpenCloud will allow Huawei users to join scheduled Skype Meetings, give them unlimited direct calling between hardware and software endpoints, and allow multiparty scheduled conferencing for up to 50 participants. While last week, I covered Blue Jeans' partnership with Panopto to automate the process of managing, sharing, and searching inside video conferencing recordings, readers may also recall that Blue Jeans teamed up with Workplace by Facebook back in April to enable users to stream multiparty video meetings to Workplace. Video collaboration vendor Lifesize has refreshed its Lifesize application, which now features what it said is a more intuitive and modern user interface. The revamped interface includes enhanced moderator controls and permissions meant to provide a consistent experience across desktops and mobile devices. New app features include smart matching search and one-click calling, the press materials state. Lifesize said it is rolling out its refreshed app in a phased beta program that will be invitation only at first but expand over time to an open beta. Based on feedback gathered in the beta process, the company said it will further refine the application to meet customer needs.